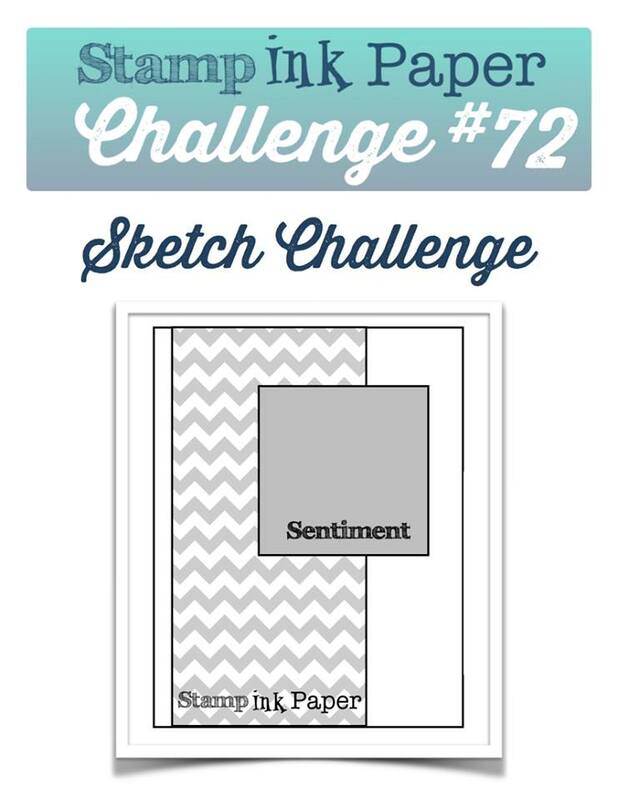 Tina's Crop Shop: SIP Challenge #72 - Sketch Challege! Hello and a Very Happy Tuesday to you! As you are reading this, I should be on a 7 day cruise to St Thomas, San Juan, Half Moon Cay, and Grand Turk. I hope you are having half as good a week as I am! 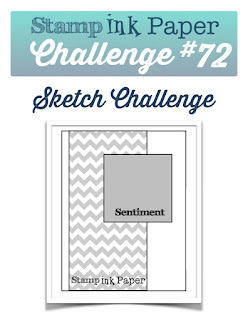 LOL This week over at Stamp, Ink, Paper we have a sketch challenge up! Check it out! Unfortunately I needed to make a couple of sympathy cards so I used this sketch for one of them. My color palette is from the Petals & Paisleys DSP collection. My card base is an 11" x 4 1/4" piece of Rich Razzleberry scored at 5 1/2". My next layer is a 4 x 5 1/4" piece of Mint Macaron with a 2 3/4" x 5 1/4' piece of the Petals & Paisleys DSP on the left side. My sentiment was stamped in a panel of Mint Macaron that was matted on Rich Razzleberry. 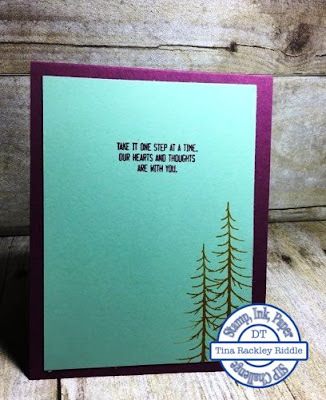 I stamped the trees in Delightful Dijon and the sentiment in Rich Razzleberry. 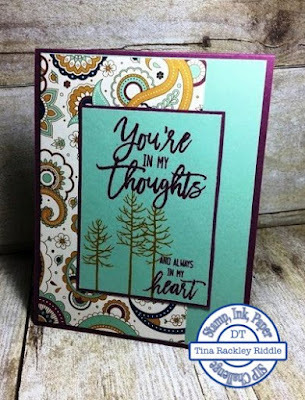 Both the trees and sentiment are from the Thoughtful Branches stamp set that was available in September. It is an awesome set and I hope it makes it in the next annual catalog. The inside of the card has another sentiment and more trees from that same awesome stamp set! 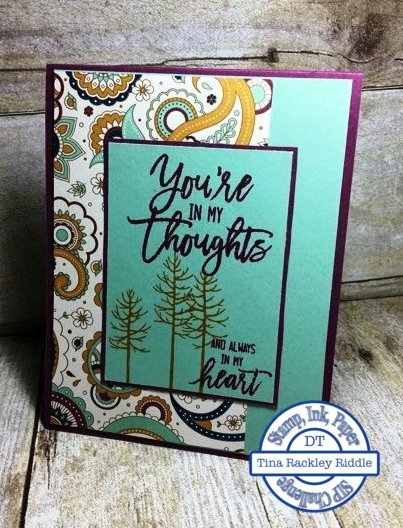 So sorry that you needed a sympathy card, but it is certainly a beautiful one. Gorgeous colors!